For a revival yet to reveal a single scrap of footage, photos or plot detail, Showtime’s 2017 Twin Peaks managed to attract near everyone in Hollywood to join its expansive cast. That said, not everyone could return for David Lynch’s eternally weird murder-mystery, and it seems the passing of David Bowie denied us yet another high-profile appearance. Where previously Bowie had appeared in the 1992 Twin Peaks prequel Fire Walk With Me, 2017 returnee Harry Goaz (Deputy Andy Brennan) claims in a new interview with The Dallas Morning News that Bowie had been scheduled to make an appearance in the revival. Goaz doesn’t specify if Bowie’s health issues prevented the appearance, nor if scheduling had been set after the musician’s January 2016 death, or if Bowie would have reprised his role as Agent Phillip Jeffries. 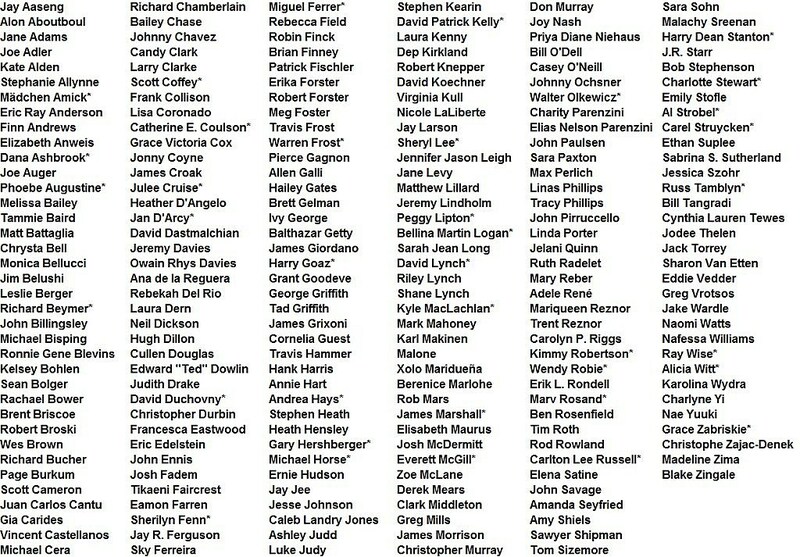 Twin Peaks composer Angelo Badalamenti’s return is also set, alongside stars Madchen Amick, Dana Ashbrook, Sheryl Lee, Michael Horse, Sherilyn Fenn, Miguel Ferrer, David Patrick Kelly, Richard Beymer and fellow new additions Ashley Judd, James Belushi, Naomi Watts, Tom Sizemore, Laura Dern, Jennifer Jason Leigh, Robert Forster, Peter Sarsgaard, Robert Knepper, Amanda Seyfried and Balthazar Getty. Showtime may come forth with additional Twin Peaks details for 2017 soon, but would Bowie’s return have had any significance?